Jim Nilsson Jr., longtime leader of Geissler’s Supermarkets in Connecticut and Massachusetts, quietly retired early in September. He is still working on a couple of projects at Geissler’s, such as e-commerce and installing new software for sales and purchasing. Nilsson’s duties as owner and CEO, however, are finishing up as he transitions into retirement and will be spending more time in Florida. His two daughters, Jennifer and Jaclyn, are active in the company, and he is the grandfather of two children. He worked for Geissler’s for more than 44 years beginning in May 1974, when the company had only two stores. Now there are seven locations. 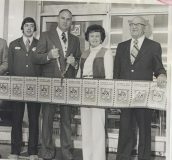 In 1974, the Nilsson family cuts the “ribbon” to open the Windsor, Connecticut, store. Pictured are Jim Nilsson Jr., Jim Nilsson Sr., Mary Geissler Nilsson and A.F. Geissler. Nilsson is a third-generation grocery retailer who, with his siblings, owns seven IGA supermarkets. 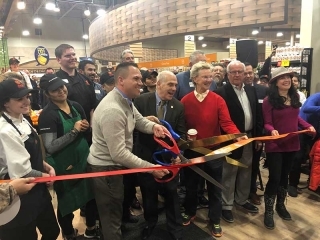 In addition to the East Windsor IGA, the family operates IGAs in Windsor, South Windsor, Bloomfield, Granby and Somers, Connecticut, and another in Agawam, Massachusetts. One of the brightest moments for the company came in 2007, when Geissler’s was crowned one of the IGA’s top supermarkets in the world and also was The Griffin Report’s choice for its annual Retailer of the Year honors. 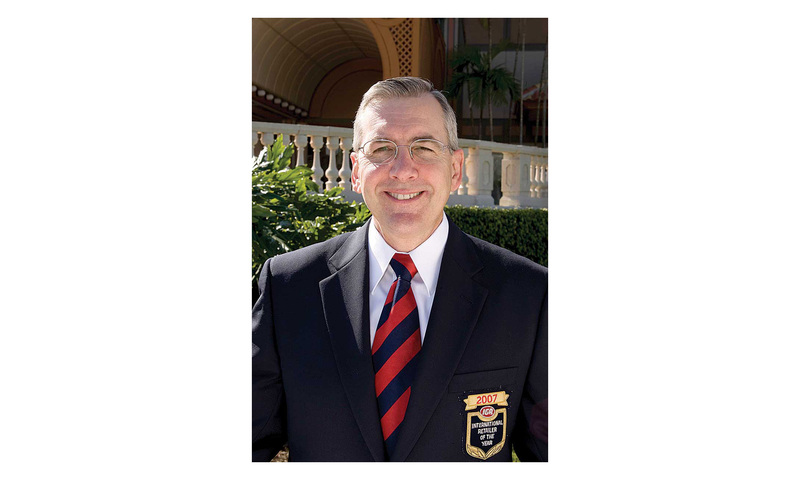 A committee of food industry executives chose the winners from a pool of applicants submitted by IGA’s Licensed Distribution Centers. Winners were judged on IGA operational assessment rating, involvement in the IGA 2006 80th anniversary marketing event program, IGA brand support, merchandising, leadership and innovation, “Hometown Proud” community involvement and employee development. In 2011, Geissler’s was selected as a model family-owned business by the Small Business Administration Connecticut office. The Windsor Chamber of Commerce, which nominated Geissler’s for the SBA Award, praised the grocer for hiring youth in the area, involvement in the community and the chamber and helping to sponsor different events and organizations as well as listening to its customers. Reflecting on his career, Nilsson said there are some major differences today. Focus now is on convenience and foods-on-the-go. Manufacturers also have changed; ounces have been taken off the product, but prices have stayed the same. “To make any money, you have to do more volume,” he said. One of the bigger challenges is keeping ahead of the competition, and customer service always has served as the key differentiator between Geissler’s and other retailers. The store’s original focus was customer service. “That’s the way my grandfather started it; he tried to take care of his customers,” Nilsson added. Long before formal store delivery became a practice, Geissler’s delivered in the 1920s. Geissler’s has supported programs for the elderly and assisted the needy. He shared an example of the kind of customer service Geissler’s seeks to provide. Once, Nilsson received a frantic call from a mother who was away and had received a call from a young child who was sick and did not have any food to eat. He himself took the order, picked the food and delivered it to the school. The Nilsson family in 2013: Jim Nilsson Jr. , Andrew Rybick, Jennifer Blanchard, Robert Rybick, Eric Nilsson, Ryan Nilsson, Jaclyn Croteau, Mary Nilsson and, in front, Dan Nilsson and Kathy Rybick. 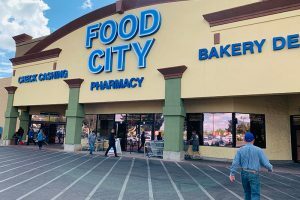 Nilsson knows the next generation has its hands full, needing to convert traditional stores into those that will meet the needs of people “looking for convenience and a store focused on perishables. It helps that Geissler’s staff and store managers know their customers by their first names and know what they are looking for. It also helps that Geissler’s has stayed very involved in all the communities it serves, whether through Little League, schools or local charities. *Editor’s note: This story appeared in print as part of the 95th anniversary celebration of Geissler’s. See the full special section in the November edition of The Griffin Report of the Northeast.